Happily married for almost 30 years now & living in suburban Rochester - in Victor, just south of Pittsford. I was an at-home mother to our two children. One just graduated from college & is job-hunting in the theater field, both on stage and behind the scenes; the other is working overseas. I consider myself “semi-retired” now. For a long time, I enjoyed volunteering at school and church. I also volunteered locally for AFS Finger Lakes for nine years; that's the program with which I went to France in 1971-72, and in the area schools on the subject of global awareness and "global competence." My favorite hobby, other than gardening and reading, is still travel. Fortunately my husband loves to travel, as do both kids (now in their mid-20’s). Next trips: Maine, possibly Anguilla for a 4th time to celebrate our 30th anniversary... and hopefully Ireland soon. My husband and I enjoyed our week on western Crete in December 2017. Contact me for travel advice if you're heading that way! Carol Kindig Urbanic has a birthday today. 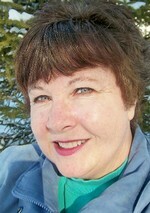 Carol Kindig Urbanic updated her profile. View. Carol Kindig Urbanic posted a message.